Linear steel and stone kitchen with peninsula based on the T45 concept. 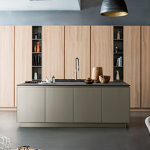 The kitchen is revealed behind the full-height panels in pale pink soft touch lacquered finish. 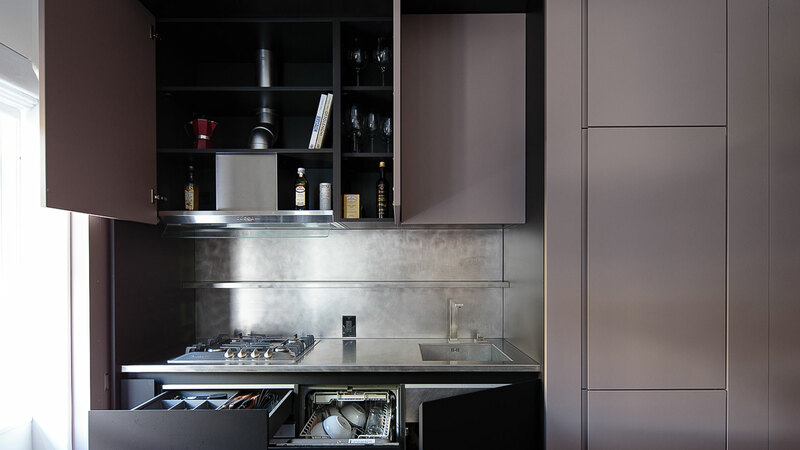 The wall units are in the same finish used on the panels, while the base cabinets are in Nero Ingo Fenix laminate. The worktop with the undermount sink and the splashback are in stainless steel with a circular brush finish. 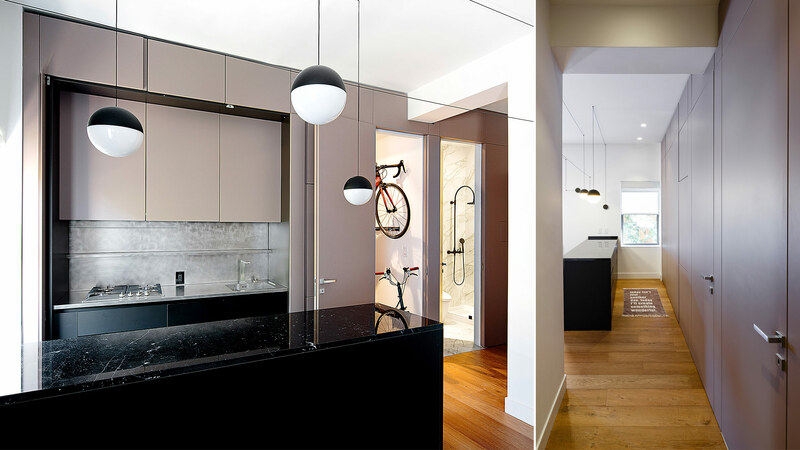 A central shelf with sensor LED lighting blends into the splashback. The composition integrates a peninsula with base cabinets in Nero Ingo Fenix laminate and worktop in Nero Marquinia Lucido stone. 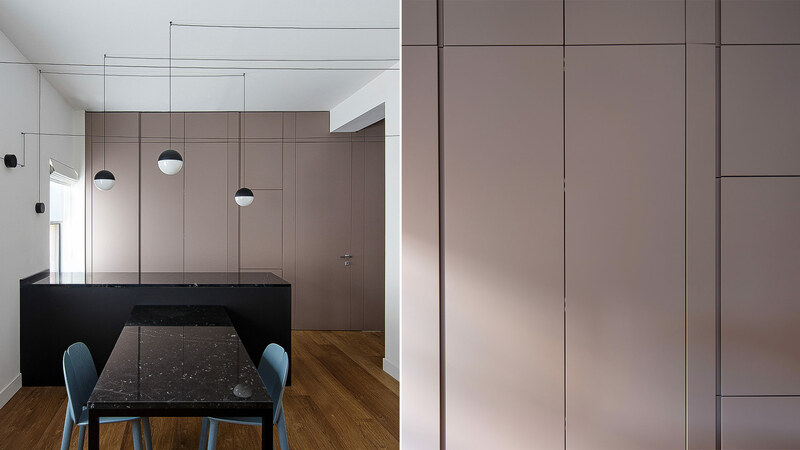 The entire paneling compensates the wall misalignment from the entrance door to the opposite wall and, in addition to the kitchen, provides access also to a bathroom and to a storage room. The layout hosts a table with metal black structure in a black soft touch finish and top in Nero Marquinia Lucido stone. Design: Matiz Architecture and Design with Design-Apart.